I know I keep mentioning it, but it is that time of year where the hustle and bustle of the holidays either makes you squirm or brings you immense joy. Gift giving can be a hard task and even harder if your alcohol free and don’t know what to bring to an event that’s not a bottle of wine. I understand! Not only do I have three kids to shop for, I have countless get-togethers on my calendar this season. But you know what, I’ve done all of the hard work and curated gifts to bring your hostess that will be sure to leave you the talk of the town (and nope, it’s not just bottle of wine after bottle of wine). I’ll share three ideas below and then you’ve gotta enter your email to see the rest--we’ll send you a mini booklet, links and all! Oh, and you won’t want to miss what is at the end of the guide (hint, hint--gift tags!). Just add some cheese and you have yourself the most thoughtful dual gift--an appetizer and hostess gift. These neutral dish towels are sure to go with any style of kitchen. Give all five or keep two for yourself; you won’t see me judging. 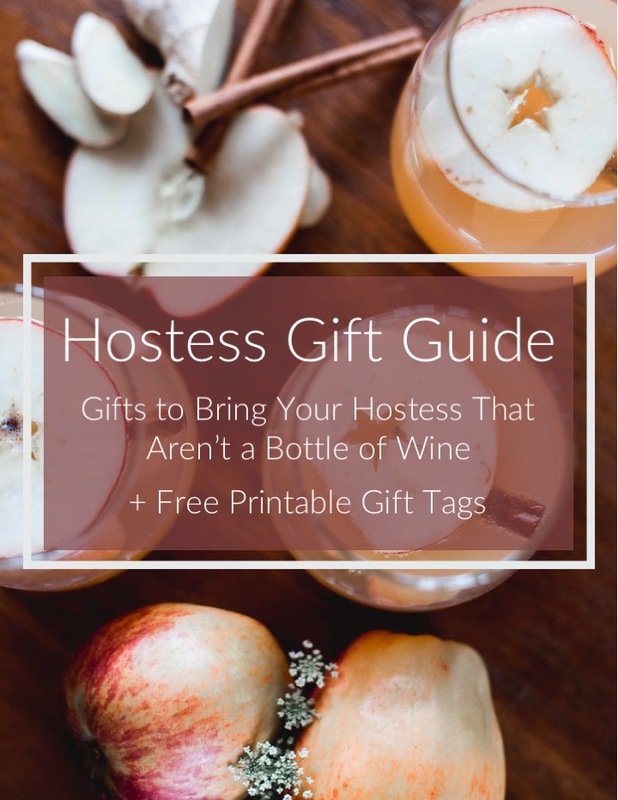 If you want more gift ideas for your hostess that aren’t just a bottle of wine, be sure to enter your email below. You won’t be disappointed at the free bonus printables that hits your inbox either. If you give any of these ideas to a hostess will you post on instagram and tag me (@marnieraec)?